Nissan has unveiled the Nissan Pulsar SSS Heritage Edition at the Mount Panorama motor racing circuit in Bathurst (NSW) today in the lead up to this year’s Bathurst 1000 car race. Nissan will sell a limited edition of 40 of the sporty hatches as part of its celebration of 30 years since its first Bathurst 1000 pole position, achieved by George Fury in the Nissan Bluebird Turbo in 1984. 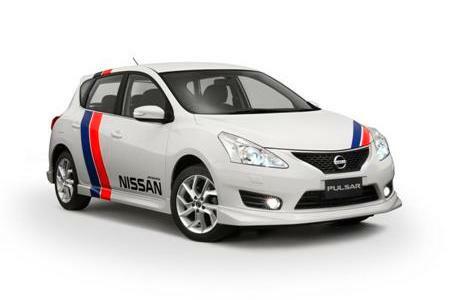 The Nissan Pulsar SSS Heritage Edition was unveiled alongside the Nissan Bluebird Turbo and the #36 Nissan Altima V8 Supercar, which features a commemorative Bluebird-themed livery at Bathurst. “Nissan has a proud motor sport heritage in Australia, particularly at Bathurst,” said Nissan Motor Co. (Australia) Managing Director and CEO Richard Emery. 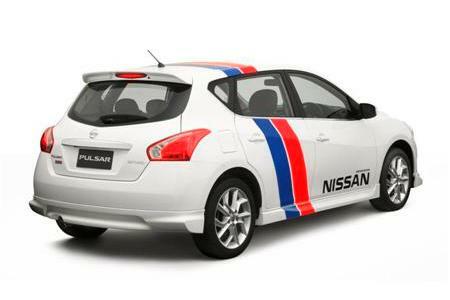 The Nissan Pulsar SSS Heritage Edition is based on the popular Pulsar SSS turbo hatch model. It features distinctive Nissan red and blue factory racing stripes and branding, as well as heritage edition floor mats, head restraints, interior badging and a Nissan Motorsport heritage team shirt. The Nissan Pulsar SSS Heritage Edition is available with a six-speed manual or Xtronic transmission, and will go on-sale in Polar White and Brilliant Silver colours. The Nissan Pulsar SSS Heritage Edition will be in Nissan dealerships from late October 2014 priced at $28,990** drive-away for the manual transmission and $31,631** drive-away for the Xtronic transmission. ** Drive-away price includes dealer delivery fees and the numerous statutory charges (commonly known as on-road costs) but may vary due to location and driver circumstances. Nissan dealers can confirm the drive-away price once driver circumstances and driving history is known. 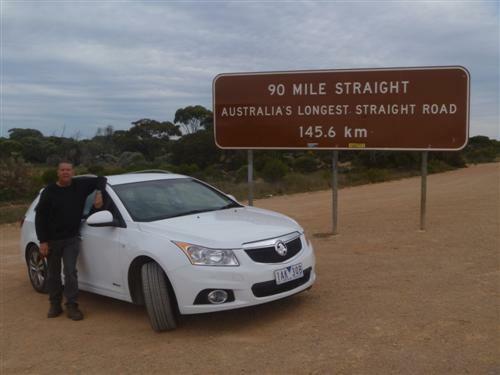 The on-road costs vary between the states and territories.